Happiness and emotional variety is something we all want. Stability is excellent and safe but does it really makes you feel alive? Does it grant you with all the beauty of the world? Life is too short for living safely. Most of us believe we deserve a better life, regret the dreams we gave up, or are convinced that our potential is untapped. The truth is no matter how old, rich or obligated you are, and self-improvement can change your life. It is simple but not easy. You can read ten, twenty, or hundred self-improvement books, watch inspirational videos or TED Talks, and talk to philosophers or close friends and discover this one of many other truths. A vulnerability is a source of fear, pain, and uncertainty as well as a source of joy, freedom, and happiness. It is better to represent such information with a beautiful cover, for example in a book, reminiscences, or a fictional story, but you better believe this truth and start the lifelong hard work on self-improvement. Instead of learning how success is made, trigger yourself to succeed. You will have plenty of obstacles on your way, probably much more than you can assume, but being prepared will make you stronger. Acknowledge your vulnerability and make it the source of joy. The art of accepting imperfection of our personality is the highest philosophy that releases your blocks preventing development. Nothing is perfect, and nothing lasts forever. The sooner you accept this wisdom adopted by many writers, businesspeople, artists, nations, and philosophers, the happier you will become. It must be highlighted that it only concerns things you can’t change. If you don’t like something you believe you can change, then do it. It will not only lead you to a simple life full of success but also grant you with a constant feeling of self-satisfaction. Turn your specifics into a recognizable idiosyncrasy. If you are really looking for the ways of personal growth and making yourself better, extend your mindset and philosophy, improve your moral and emotional possibilities, then you have to break it through. In other words, you have to doubt everything you strongly believe in. Do whatever you hate doing or discover what seems by default to be extremely boring, unacceptable, or not appropriate. You should not involve any enforcement into the process, but you definitely have to leave your comfort zone for a while. The method is helpful for extending boundaries. It whether destroys your beliefs or makes them stronger than before. Today the opportunities for personality development are endless. It makes being who you want to be and doing what you want to do simple. But it is not easy to use these opportunities. Every day we have plenty of beautiful ideas for changing your life or making your career better. All we do with these ideas is mute them. Challenging with yourself on a daily basis is a routine of every successful person. It has always been more straightforward to accept what you have and to remain on the same level. It is much harder to get up earlier in the morning, start new tuition and feel like a beginner again, to get over plenty of fails and not to quit on the halfway. Many successful people repeat the same truth. Nothing is possible without self-discipline. Your body is continually growing and changing during the lifetime. Your mind and soul needs the same self-development as your body. Forcing yourself to go out of your comfort zone, to do what you have never done before is the only way to improve your intelligence, mindset, and personal growth. The need for exploration is one of our basic needs. Every person wants to explore the secrets of science, technology, spirit, history, perfection, and many other. Our brain is researching every day by proceeding the information we give it. With no info, it will set an autopilot mode. It will work on its lowest productivity unless we feed it with valuable and nutritional information. Forcing yourself to find any will grant you with a sufficient level of exploration. 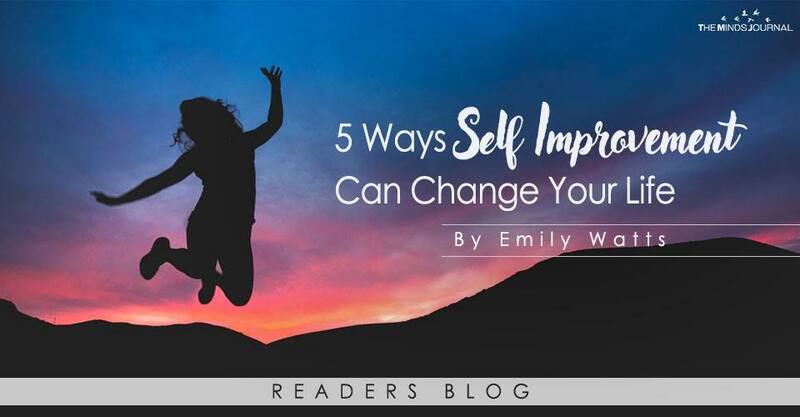 Emily Watts is a coach on personal development and freelance writer at &amp;lt;a href=&amp;quot;https://customwriting.com&amp;quot;&amp;gt;customwriting.com&amp;lt;/a&amp;gt;. Her experience and years of research granted her with a background and knowledge that changes lives for better.